Check out Payton's color options below. The Payton is a stylish, timeless, classic designer carrier. 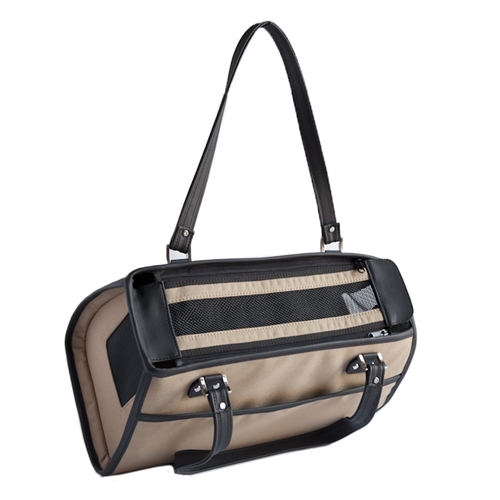 This unisex dog carrier is a popular option dog bag for men or women. The Payton Bag is available in solid black ballistic fabric or our khaki with black trim. The Payton is trimmed in black faux leather with silver signature hardware and is roomy enough to accomodate dogs up to 12 lbs. 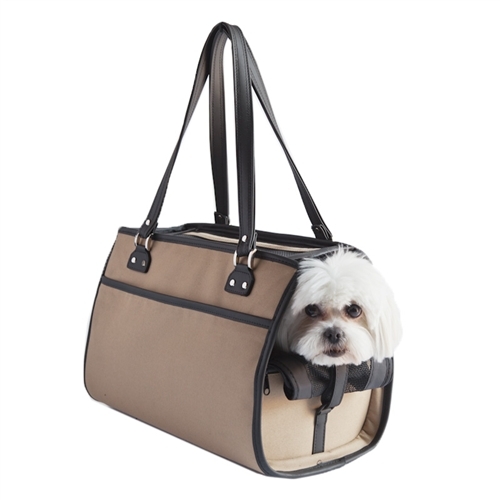 Ventilated on top and sides with roll up/down zipper window so your dog can stick it's head out. 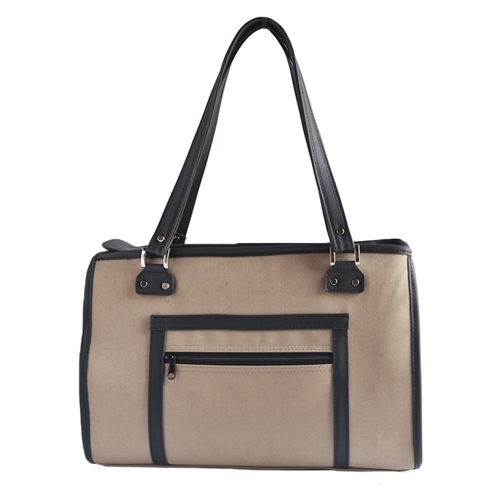 The Payton Bag has one exterior zipper pocket for storage. Check out Payton's color options.